Sound Level Meters | OHD USA, Inc.
OHD has teamed with Cirrus Research for a complete line of sound level meters. Whether you are looking for a simple instrument or a high performance data logging sound level meter, you will find one tailored to your specific needs. For noise measurements outdoors or for long periods of time, consider an Outdoor Noise Measurement Kit which protects the sound level meter and microphone from adverse weather conditions. 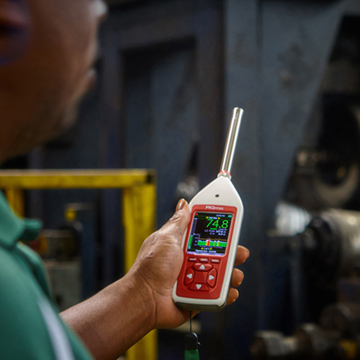 For noise measurements with both a sound level meter and noise dosimeters, our Safety Managers Kits are the ideal solution. Also consider our new SoundSign that offers employees a visible noise warning. If you cannot find the solution to your needs below, simply contact us and we will help you find the instrument that's right for you. 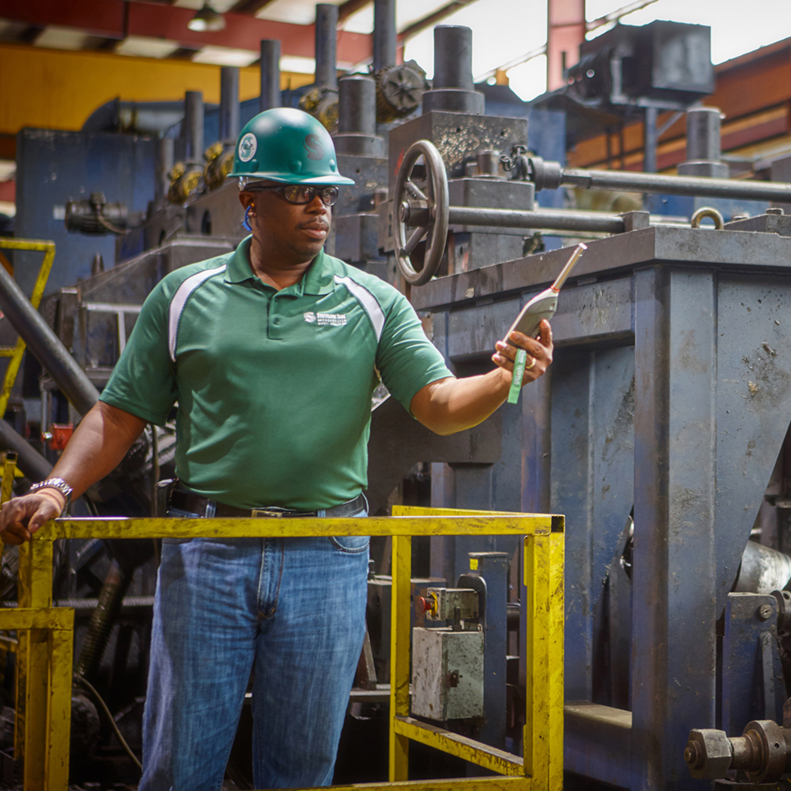 For Occupational Noise and Industrial Hygiene, measuring the noise exposure of employees quickly and reliably is essential. The Optimus Red sound level meter is the ideal instrument for these applications with a clear, high resolution OLED color screen, a wide 120dB measurement span (up to 140dB(A) and 143dBC Peak) and simultaneous measurement of all available parameters. There’s no setup or complicated configuration needed. Just switch it on, calibrate it and press start. It’s that simple. 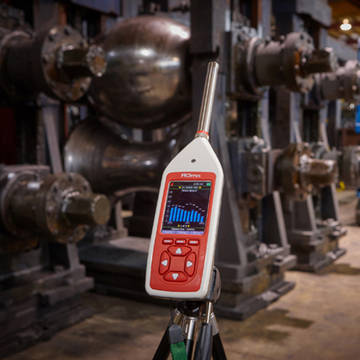 The Optimus sound level meters have been designed for ease to allow you to proceed with measuring and controlling noise. These instruments use the very latest in digital technology and industrial design techniques to make everything as clear and simple as possible. We’ve incorporated a screen that is able to be seen in any conditions, with a keypad that illuminates automatically in low light. The case is robust and covered with a tactile finish so it can be used even if you’re wearing gloves. The measurement data is displayed in a clear and simple format along with a real-time noise chart so that you can see how the noise varies with time. All of the functions of the instrument are measured simultaneously, and with a wide 120dB measurement span you don’t need to worry about choosing the right range. An optimus can measure up to 140dB(A) and 143dB(C).